When the Legislature convenes later this month, one Sherwood resident will be in the thick of it. Patrick Allen is director of the Oregon Health Authority. Created in 2009, the agency oversees most of state's health-related programs including addiction treatment, mental health and public health, along with the Oregon State Hospital and the Oregon Health Plan, which is the state's unique take on Medicaid. He took over the program in late 2017, replacing former director Lynne Saxton. And to hear Allen describe it, the agency has been, "pinballing from crisis to crisis" since he arrived. He said he's hoping 2019 turns that around. Gov. Kate Brown has established her budget proposals for the coming two-year period, 2019-21, and they include a focus on behavioral health (addictions and mental health), investing in the health of children and Oregon's Coordinated Care Organizations; a uniquely Oregon approach to blending a wide array of health services under one umbrella. Those priorities are fine by Allen, he said. One of the governor's priorities that he's most excited about is the beginning investment in a six-year program to create universal home visits for new parents. When the program is complete, every new parent — this includes adoptions — would receive a series of two or three visits by someone like a nurse or other health care practitioner. The visits could include basic health screenings for babies; hooking parents up with primary care physicians; linking them to other services; and coordinating the myriad childhood immunizations that babies need. "This isn't something for people in trouble. This is stuff all kids need. Stuff my kids needed," Allen said. 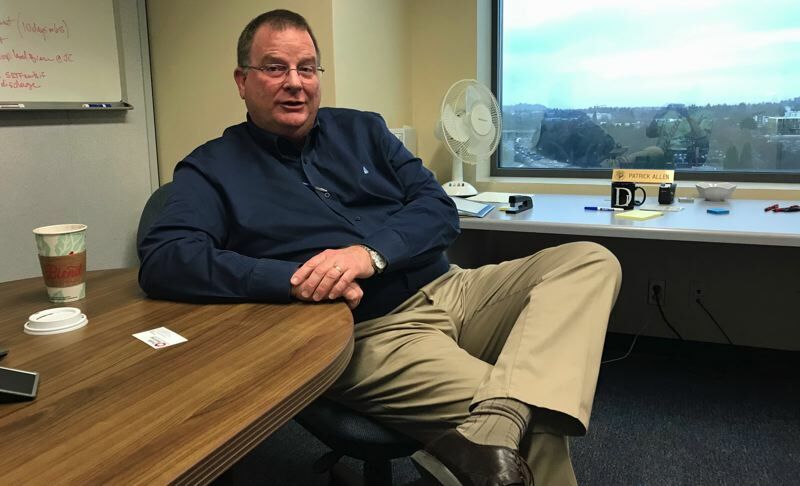 He's no stranger to issues related to youths; besides his work at the Health Authority, Allen also sits on the Sherwood School Board. He said the state sees about 40,000 births per year. The universal home visit program has been piloted in Lincoln County. No other state in the nation offers universal visits for new parents, he said, although North Carolina has been a leader in the effort. The Health Authority also will spend this year taking the next step in the advancement of Coordinated Care Organizations, or CCOs. They are designed to blend a variety of health services — such as physical health care, addictions and mental health, and dental care — to serve people who receive health care coverage under the Oregon Health Plan, or Medicaid. Insiders are calling this year's changes "CCO 2.0." Allen said his agency has something like 46 separate proposals, many of which will go before the Legislature this year, to advance the Coordinated Care Organization model. Another priority — shared by Gov. Brown and the Oregon Health Authority — is closing the gap on health insurance coverage. Today, an estimated 94 percent of all Oregonians have coverage. That includes 98 percent of all children. "The governor wants to close that 2-percent gap," Allen said. Previously, an estimated 17 percent of Oregonians had no insurance. People without coverage often use emergency rooms for primary care, waiting until they are as sick as possible before seeking treatment. That's a more expensive form of health care. People with commercial insurance indirectly pick up the costs for those who seek primary health care through emergency rooms. "Today, at 94 percent, the uncompensated coverage has gone down by something like $500 million to $600 million per year," Allen said. As the Legislature gets set to convene in the coming weeks, Allen said the Oregon Health Authority has ambitious plans, adding that one of the co-chairwomen of the budget-writing Ways & Means Committee is Beaverton's Sen. Elizabeth Steiner Hayward, a physician with a keen understanding of public health. "We're well positioned," Allen said.